It is quite common that children are found with fluid behind eardrum, adults though seldom diagnosed with the same symptom, it sometimes does occur. Fluid behind eardrum, known medically as otitis media with effusion (OME), is the accumulation of fluid, often in the middle of the ear, with no sign or other symptoms of an ear infection. This can occur in one or both ears, and can sometimes last for prolonged periods of time, although this is more often the case in adults than in children. This condition can be associated with a feeling of discomfort within the ear, or a feeling of fullness. In some cases, moderate to severe hearing loss can occur. On most occasions, the condition will self-resolve after around 12 weeks, meaning no significant intervention will be required. What Are the Symptoms of Otitis Media with Effusion in Adults? Although ear infections are commonly associated with children, they can also affect the adult populous. In most cases, Eustachian tube dysfunction is often considered to be the primary factor causing the complication. That being said, the condition has also been linked with allergy, antecedent upper respiratory tract infections, or barotrauma (e.g. air travel). Typical symptoms associated with OME include aural fullness and hearing loss. Some adult sufferers have also noted experiencing a slight sensation of disequilibrium, without vertigo, and/or the sensation of a foreign body within the ear. In rare cases, patients have spoken of experiencing acute ear pain. What Causes Otitis Media with Effusion in Adults? As mentioned, Eustachian Tube Dysfunction (ETD) is often the most common cause of fluid behind eardrum, adults group especially. 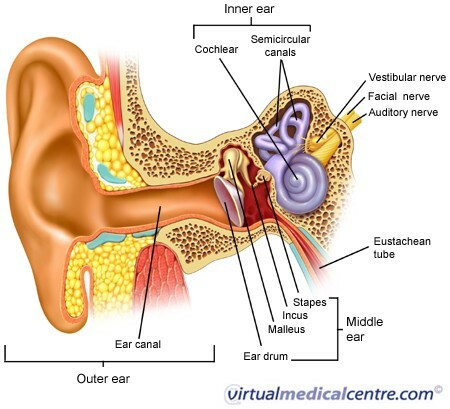 The Eustachian tube delivers three essential physiological functions within the body, which is the equilibration of pressure between the external and middle ears, secretion and cleansing, and protection of the middle ear. Abnormalities can occur in the region due to blockage, trauma, inflammation, or infection, among other things. The condition often develops after sever upper respiratory infection, allergic reactions, or rapid changes in air pressure (barotrauma). After the treatment of many ear infections, fluid will remain in the middle ear for several days. When the Eustachian tube becomes partially blocked, fluid begins to accumulate in the middle ear. Bacteria can then begin to accumulate within the liquid, which can result in an infection. A sudden increase in air pressure (that which can be felt whilst travelling in an airplane, or scuba diving). To effectively diagnose OME, you must, of course, first pay a visit to your doctor. They must then determine whether fluid has accumulated in your ear, which they will most likely achieve by looking in your ears with an otoscope. This can also be achieved electronically, via the use of an acoustic reflectometer, or a tympanogram. You may also undergo an examination of the back of your nose (nasopharynx), to ensure that there are no physical obstructions within the nasal opening of the Eustachian tube. As mentioned, most health care professionals with refrain from treating the condition at first, that is, unless there are also signs of an infection. To help avoid the buildup of fluid behind eardrums, adults should try to avoid cigarette smoke, and ensure to properly treat any allergies that you may have. If the condition fails to improve, then a hearing test, or course of antibiotics (if not already applied) may be offered. If major hearing loss has occurred in an individual, then, ear tubes may be required to solve the problem. If, after four to six months the fluid has still not cleared, then ear tubes may also be required (regardless of the level of hearing loss). On some occasions, removal of the adenoids may be required to ensure the Eustachian tube work properly.